First of all, I'd like to thank Basset Momma for including me in her favorite blogs. It's my first time to get something like this so I'm a little hesitant on what to say. 2. Link back to the blogger who gave you the award. 3. Pick our five favorite blogs, with less than 200 followers and leave a comment on their blog to let them know they have received the award. I have more than 5 favorite blogs. Fortunately, some of them have more than 200 followers already, which means I won't need to make a tough decision anymore. But nonetheless, the guys listed here are just as wonderful as well. With no further ado, presenting my top 5 in no particular order. Life in the Doghouse- Magic's their main star of attraction but her sisters Caoimhe (pronounced as Keeva) and Aoife (Eefa) and her brother Alfie Crybb just makes the schnauzer life more exciting than ever. Yuki and Rocket- Sorry if I'm showing a little bias on my blog selection. I can't help it. I love Schnauzers. And these two, Yuki and Rocket, have a great and knowledgeable mommy (like Nola's) who loves talking about them. CATachresis- Who says cats aren't smart and special? This is Austin's blog. He's one adorable cat bathed in blackish charm. Dachshund Nola- Almost everybody knows Nola and her adventures with Boston. She's the one who greets and visits everybody. But don't be fooled by their friendly exterior, her mommy is one well-informed Dachshund owner. Snoopy's Dog Blog- Snoops is well known for his Mischief Mondays. This Bearded Collie's adorable pictures are all over his blog which I can't get enough of. 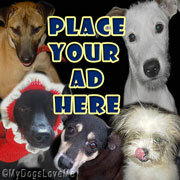 Let's spread the love and promote our fellow pet bloggers. Thanks again Basset Momma!!! @Carolyn: By the power vested in me, I now pronounce cats as the partial ruler of the world... of course, dogs had to get the first dibs. Congrats! Well deserved. I look forward to checking outsome of the blogs I haven't visited before. Huge congrats on your award you really deserve it buddy!! Thanks so much for thinking of me and including me in the honours!! Congrats on your award, and some great choices for passing it on!!!! @Snoops, Y&R, Magic, Carol: You guys deserve it. I'm lucky to have online buddies like you. Not only are your personal accounts funny, but they don't cease to give me my daily dose of pet awesomeness. @Basset Momma: I'm glad to hear I've contributed to the cause. Thanks for the award once again. Congratulations! That's a great award!